Nearly a year after the internet TV service was released on Xbox 360, Sky has finally brought NOW TV to PS3. 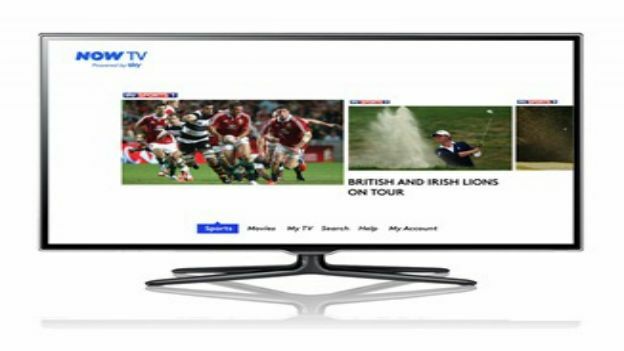 Sky's announcement means NOW TV and PS3 customers can watch the service through their TV and home Wi-Fi network. New customers can take advantage of a free 30 day trial, like Netflix's offer, plus three months at a rate of £8.99 a month. NOW TV also offer up to 20 new film premieres boasting a release of the films approx. 12 months before they hit Netflix or LOVEFiLM Instant. According to Sky's official corporate blog, PS3 users can also expect Sky 1, Sky Atlantic, Sky Arts and Sky Living to be added to the streaming service later this year. No specific date has been announced. Gidon Katz, Director of NOW TV, states, "Our customers now have another way of streaming to their main TV screen, while continuing to enjoy access out and about via iPad and smartphones." Sky have rolled out the service across Roku, iOS, some Android devices, and Silverlight (as well as Xbox 360).